This design works well as a ‘congratulations’ reward token: for that employee or referral partner that has gone above and beyond. It’s also an exceptional motivator to push your staff to achieve that gold standard because it’s a reward they really want. 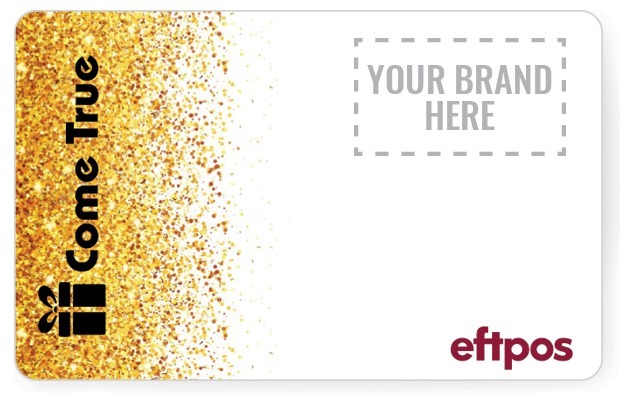 Being one of our co-branded eftpos gift cards, it gives you plenty of whitespace to place your logo so that it’s clear for the recipient to see whenever they use it. Although it’s not explicitly Christmas-related, this card is also a top pick in the festive season for a subtle, or perhaps non-denominational “season’s greetings”.